20" tall x 16" Stainless Steel filter with hook, ETL Listed. Captrate© Solo Filter is a single-stage filter featuring a unique S-Baffle design in conjunction with a slotted rear baffle design to deliver exeptional filtration efficiency of single-stage devices. Benefits include reduced fire hazard and maintenance associated with grease build-up in hood plenums, duct work, fan assemblies, rooftops and adjacent surfaces when using Solo filters. 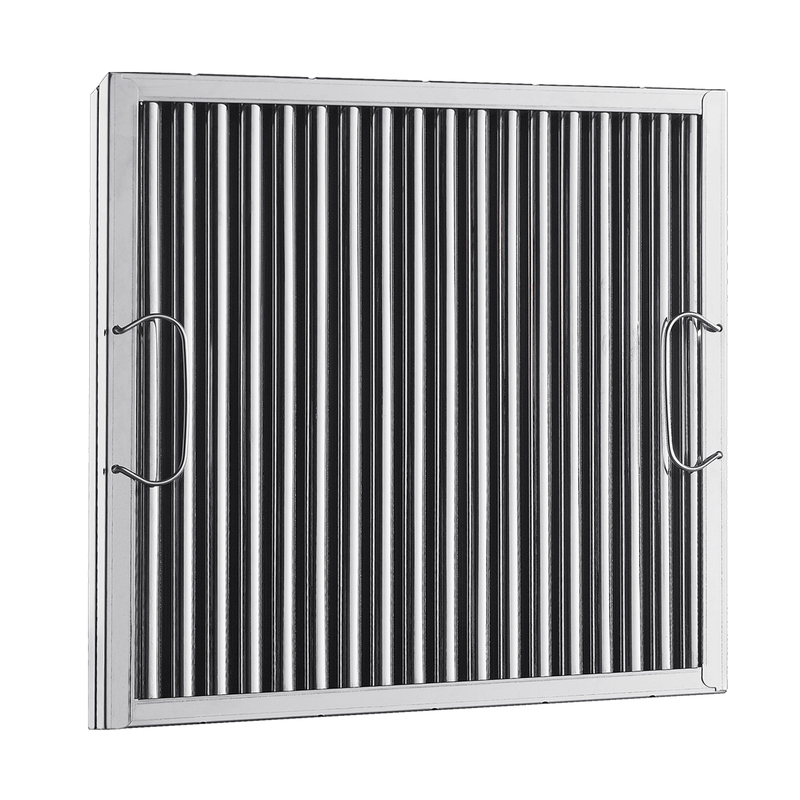 The Solo filter is constructed of 430 stainless steel and sized to fit into standard 2-inch deep hood channel(s).